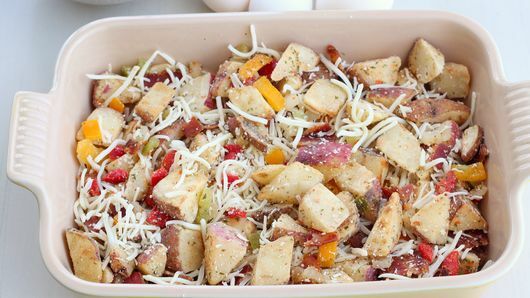 In ungreased 10x6-inch (1 1/2-quart) to 12x8-inch (2-quart) glass or ceramic baking dish, combine 2 bags backyard grilled potatoes, 1 1/2 cups of the shredded Cheddar cheese and the 3 to 4 slices cooked and crumbled bacon. Set aside. 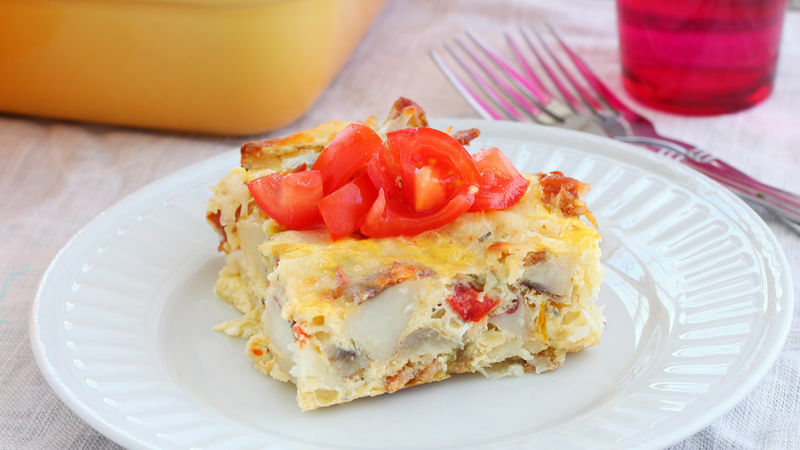 Pour egg mixture over potatoes in baking dish. Sprinkle remaining 1/2 cup shredded Cheddar cheese evenly over top. Bake 1 hour or until set and knife inserted in center comes out clean. Serve warm or cold. 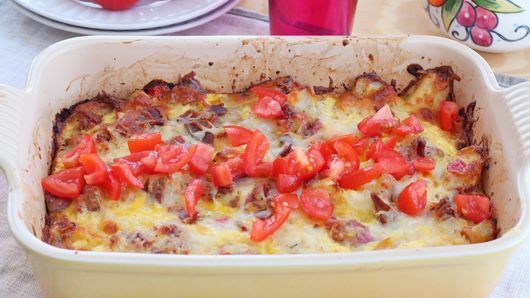 Just before serving, sprinkle 1 finely chopped plum (Roma) tomato over top. 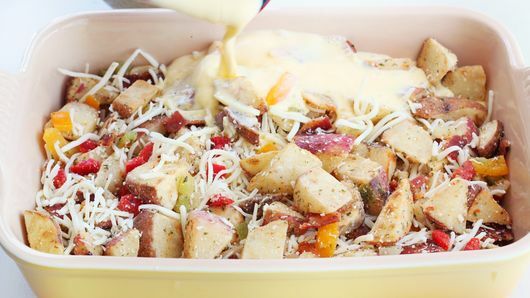 For a pop of flavor (and color) in this cheesy casserole, you can use frozen roasted potatoes & broccoli with cheese sauce instead of the roasted potatoes with the garlic and herb sauce.